Elev8 Builders is a local Austin luxury home builder focused on delivering customers a unique home experience through the use of innovative designs and superior materials. For Elev8, the use of the best products on the market is the standard, and only, approach to ensuring homes are built to provide superior comfort and lifelong performance that is second to none. The luxury custom home market is driving innovation through superior design and construction methodologies and materials, but for Elev8 Builders, merely following the market is just not an option. 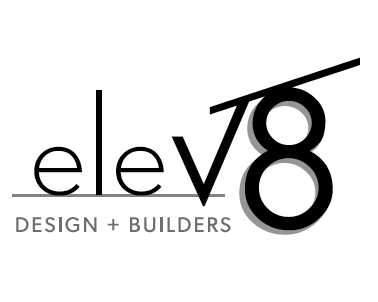 Elev8 Builders has formed a unique partnership with Greenfiber® Blow-In Insulation and SES Spray Polyurethane Systems to lead the market with a transformational building concept. Introducing ‘The Home of Tomorrow’; currently in the finish phase of construction and expected to be completed in early 2018. Greenfiber and SES recently partnered together to provide an industry-leading program called Custom Comfort Solutions. This unique approach combines the best performance characteristics of both cellulose and foam options, giving builders and homeowners more performance choices to fit any custom home design. The Home of the Future concept starts with the experience. With the luxury home market in Austin as strong as ever, Elev8 was looking for new ways to lead by offering unique solutions to homeowners through innovative building techniques. Utilizing the tenants of the Custom Comfort Solutions program to push the performance of the home to improve Air Changes per Hour (ACH) and HERS ratings was just the beginning. Custom Comfort Solutions also provides controlled comfort; equalizing temperatures across the building to create a new level of comfort and sound isolation providing peace and quiet in each space. To add peace of mind, the systems provides a 1-hour firewall, and the foam passes appendix x testing without the use of specialty hatches and cumbersome building assemblies. The story of the future starts at net zero energy performance with the high-performing Custom Comfort Solutions envelope and enough renewable energy to completely power the building, but this project goes way beyond energy by adding the innovations of net zero water with an integrated rain water collection system that will provide enough water to meet all the demands of a luxury home with the best quality water coming from the cleanest most sustainable source, the air. "our customers are looking for the very best performance of their home and the Greenfiber®/SES solution is on pace to outperform any other system in the industry hands down."